At Axxon, we're all about vision. Vision that goes beyond video surveillance. We help you see your property, people and assets more clearly, more easily, and more consistently from any location, so you can achieve new heights of physical security. And that's not all. We help you see past and move beyond the boundaries that exist in your business today, so you can envision and realize new possibilities, and attain greater effectiveness, resilience, and profitability than you ever imagined. 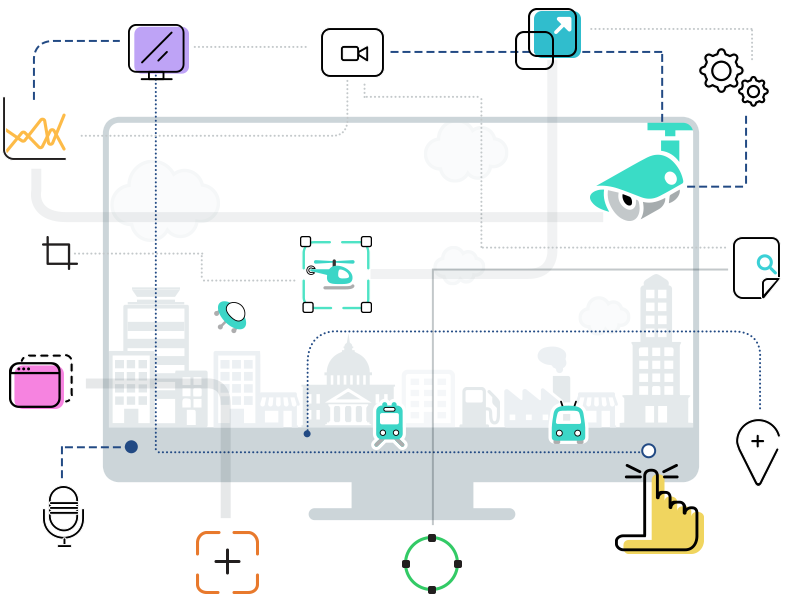 Axxon is a major software developer that combines end-to-end, IP-based physical security management, intelligent video surveillance, and an enterprise-wide platform. We offer integrated, out-of-the-box vertical and horizontal solutions for governments, institutions and commercial enterprises. As global leaders in the area of converging technologies, Axxon has created software that is so highly developed, it allows users to do more than they've ever done before - easily, quickly, and in accordance with their existing systems and strategies. That's because our advanced software allows users to connect multiple systems and devices in one, single environment, so they can aggregate and analyze data for better decision-making and automate processes they've never been able to automate before. Plus, we have easily customizable, out-of-the-box solutions for rapid development and implementation for a wide range of customers and requirements. Our vision is a fully connected, fully networked universe. By converging security with business systems, our software enables our customers to do things they've never done before. Together with our partners, we can help you improve your business efficiency, enhance your physical security, and achieve your strategic goals, all at the same time. For our partners and customers, the possibilities are endless. This is our vision. What's yours?